At Los Coyotes, our 6th graders are involved with the CyberPatriots program in partnership with Cypress College. In the inaugural year for 6th grade students to participate in this national program, our dedicated teams have trained and competed over the past 8 months. Technology in the classroom helps the teacher to instantly "know what the students know." Students in Ms. Kim's 4th grade class use problem solving and game skills to gain a deeper understanding of place value. 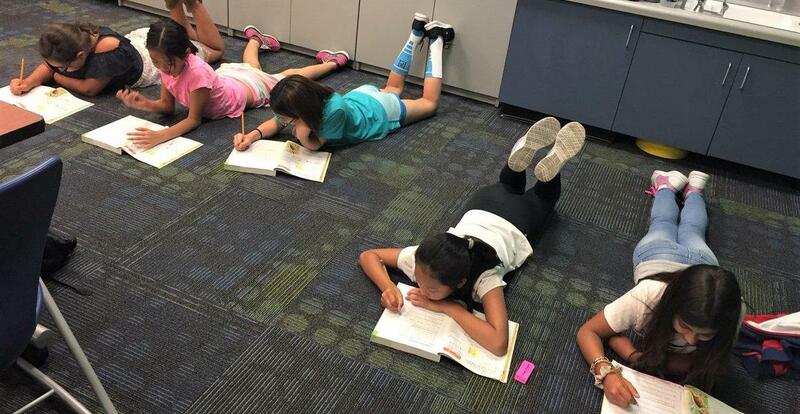 Flexible seating allows these fifth grade students the opportunity to configure their work space to suit their task and learning style. Our newly modernized classrooms are amazing! A happy staff celebrates LC's Gold Ribbon award. Hello Los Coyotes Families, Below please find this week’s important announcements. Please be reminded that that our CAASPP testing window begins this Tuesday, April 23 for grades three through six. Students will be taking online tests in both English Language Arts & Math, and for our 5th graders, Science. Please be sure your child is well rested and arrives to school on time, especially during this testing window. You can find much more information about the testing, and a link to practice tests at CAASPP.org. Please join us for a CyberSafety Awareness Parent Presentation here in our Innovation Lab in Room 5 this Wednesday, April 24 beginning at 6:00pm. Please see the flyer that came home with your child. We kindly ask that you RSVP to this event by tomorrow. We hope to see you there. This week is also Screen Free Week. Please see the information coming home with your child tomorrow. Please mark your calendars now for our Family Fun Night which will be Thursday, May 2. Please see the flyer that came home with your child; copies are also available in the school office. Thanks and have a wonderful week. Hello Los Coyotes Families, Below please find this week’s important announcements. The “Giving Children Hope” Food Drive continues this week, and concludes Monday, April 29. Please see the flyer on our website under “PTSO” for more details about the items we’re collecting. Thank you for your generosity! Please join us for a CyberSafety Awareness Parent Presentation here in our Innovation Lab in Room 5 on Wednesday, April 24 beginning at 6:00pm. 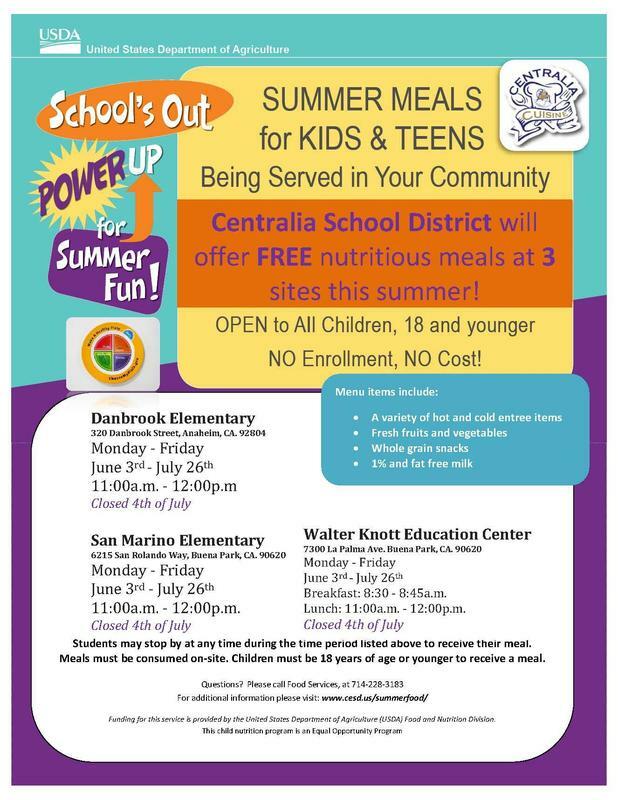 Please see the flyer that came home with your child, which can also be found on our website. We kindly ask that you RSVP to this event by April 22. We hope to see you there. Thanks and have a wonderful evening. 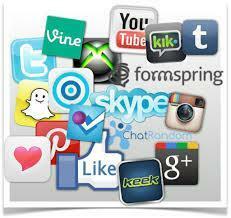 Please join us for an informative evening for parents about cybersafety. 3/31/19 Hello Los Coyotes Families, Below please find this week’s important announcements. I am very happy to say that tomorrow morning, our sixth graders will be leaving for science camp. Since many of the sixth grade parents will want to stay and see their child off to camp and will also be unloading luggage, please use extra patience and caution in our parking lots. It would be an excellent idea to walk to school if possible! Again, they will be leaving tomorrow morning. Please remember that PTSO Board Nomination forms are due this Wednesday, April 3rd. A green flyer went home with your child last week and more can be picked-up in the office. If you would like to nominate someone for an office, it is very important that we receive your nomination in writing by this Wednesday. Also this Wednesday is McTeacher Night from 4:00-7:00pm at the McDonalds on the corner of Moody and Orangethorpe. Please come out and see our teachers and staff taking orders and serving you dinner! A portion of the proceeds will be donated to our PTSO. And finally, our next Coffee Chat with the Principal is this Friday, April 5 beginning at 8:15am in our Teachers’ Lounge. We will be discussing important topics for our school. I hope you can join us. Thanks and have a wonderful week. Please take the time to complete this online survey- beginning April 1st. 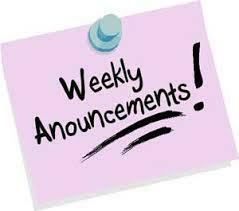 Hello Los Coyotes Families, Below please find this week’s important announcements. Our next School Site Council meeting is this Monday, March 25 @ 2:45pm in our Teachers’ Lounge. This meeting is open to the public. The Spring Book Fair is coming to Los Coyotes this week, Tuesday through Friday with an evening event on Thursday, and a Donuts with Dads event Friday morning before school. Please see the information that came home with your child. Open House, our yearly celebration of all things Los Coyotes, is THIS Thursday, March 28. The Book Fair will be open from 5:00-7:30, and Classroom Visitations are from 6:00-7:00pm. Please plan to join us. And finally, please mark your calendars now for McTeacher Night on Wednesday, April 3. More details soon. Thanks and have a wonderful week. Hello Los Coyotes Families, Please read below for this is week’s important announcements.This upcoming week is Spring Break and there is NO SCHOOL for the week of March 11 through March 15. School resumes on Monday, March 18th. Please mark your calendars now for Open House which will be held the evening of Thursday, March 28th. More details soon. The Spring Book Fair is coming to Los Coyotes the week of March 25th. Please be looking for more information to be coming home when we return from Spring Break. Thanks and have a wonderful vacation. Hello Los Coyotes Families, Below please find this week’s important announcements. Our next PTSO meeting is this Tuesday, March 5 at 7:00pm in our Multi-Purpose Room. 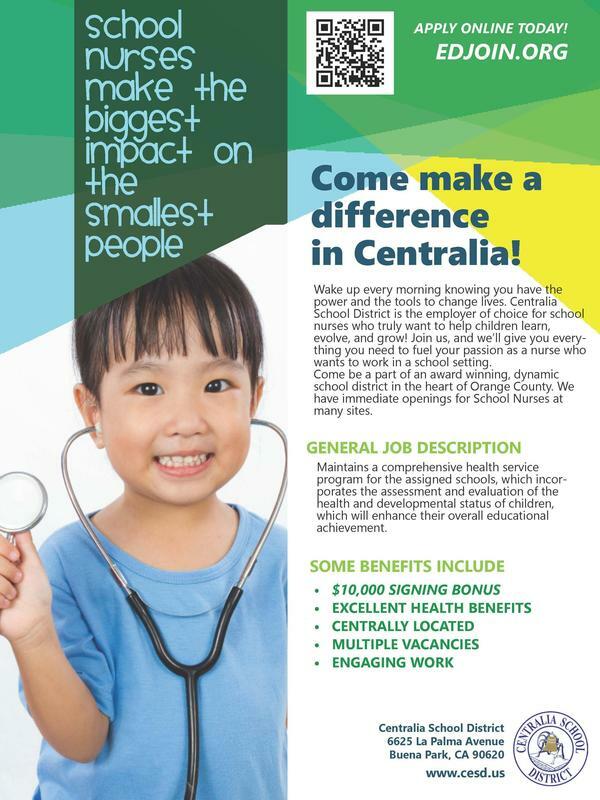 If you know of a family that is interested in attending a school in the Centralia School District, please let them know about our Early Learner Family Expo being held at the Walter Knott Education Center this Tuesday, March 5, from 4:00-6:00pm. Please see our website for more details, and flyers are available in our school office. Spring Pictures are this Wednesday. Please remember that students do not need to bring money, proofs of the pictures will go home at a later date. The Talent Show evening performance is this Friday beginning at 6:00pm in our Multi-Purpose Room. And finally, report cards go home this Friday; please be looking for them in your child’s backpack or folder. Thanks, and have a wonderful week. Hello Los Coyotes Families, Below please find this week’s important announcements. You may have noticed a buzzer, or “doorbell” that is now attached to our main gate. We can now keep this gate locked and “buzz” people in and out via a connection with the school office. This will greatly enhance our ability to regulate who is on our campus. Beginning tomorrow Monday, February 25, if you wish to enter campus after the instructional day has begun, simply use the doorbell to communicate with the office, and we will unlock the gate, allowing you to enter. Thank you for your understanding and support as we enhance the safety of our campus. Please refer to the letter that went home with your child last week for more information. This letter is also on our website. Our next Coffee Chat with the Principal is this Friday, March 1 beginning at 8:15am in our Teachers’ Lounge. Please come join me as we discuss important issues that pertain to Los Coyotes School. I hope to see you there. Bingo Night is also Friday, March 1st. Please join us for this fun event. There will be many prizes and raffles, including Knott's and Disneyland tickets. Order forms available in the office or online and are due tomorrow. Please see our school’s website under PTSO for more info. Thanks land have a wonderful week. Hello Los Coyotes Families.Below please find this week’s important announcements. This Tuesday morning, our sixth graders will be leaving for science camp. Since many of the sixth grade parents will want to stay and see their child off to camp and will also be unloading luggage, please use extra patience and caution in our parking lots. It would be an excellent idea to walk to school that day if possible! Again, they will be leaving on Tuesday. 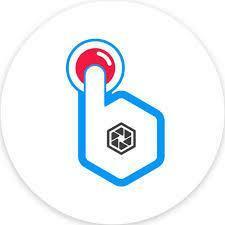 Many of you may have noticed a buzzer, or “doorbell” that is now attached to our main gate. We can now keep this gate locked and “buzz” people in and out via a connection with the school office. This will greatly enhance our ability to regulate who is on our campus. Beginning Monday, February 25, if you wish to enter campus after the instructional day has begun, simply use the doorbell to communicate with the office, and we will unlock the gate, allowing you to enter. Thank you for your understanding and support as we enhance the safety of our campus. A letter will be coming home on Tuesday, February 19 with more information. Bingo Night is coming Friday March 1st. Please mark your calendars for this fun event. There will be lots of prizes and raffles, including Knott's and Disneyland tickets. Order forms available in the office or online. See the school website under PTSO for more info. Order forms due Monday, February 25. Please remember that there is NO SCHOOL tomorrow, Monday, February 18 in honor of Presidents’ Day. Thanks and have a wonderful week. Hello Los Coyotes Families, Below please find this week’s important announcements. Please remember that there is NO SCHOOL tomorrow, Monday, February 11 in honor of Lincoln’s Birthday. There is also NO SCHOOL next Monday, February 18 in honor of Washington’s Birthday. Please enjoy the three day weekends. Our next PTSO meeting is this Tuesday, February 12 @ 7:00pm in our Multi-Purpose Room. Please be a part of this important parent group and join us. At the January 16, 2019 Board meeting, the Centralia School District Governing Board voted to make an interim appointment to fill the vacancy in Trustee Area 4 due to Trustee Harris’ resignation. Area 4 covers Dysinger School, and a portion of Centralia School. Applications are now available for candidates wishing to fill that vacancy and are due this Tuesday, February 12. If you are interested, please see our district’s website and click on News Link for more details. Thanks, and have a wonderful week! Good Evening Los Coyotes Families, and Welcome Back to School. 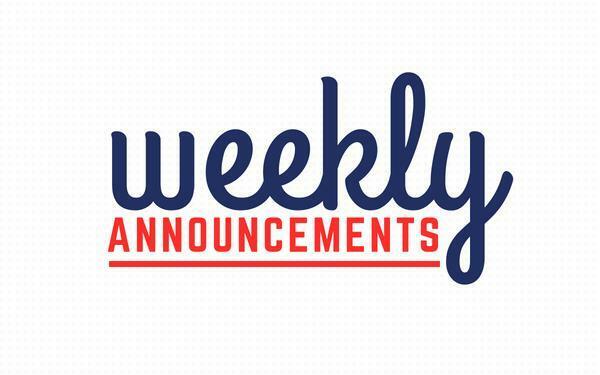 Below please find this week’s important announcements. 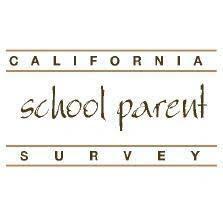 If you haven’t already done so, please take a few minutes to fill out our district’s Local Control Accountability Plan (or LCAP) Parent Survey. I paper copy should have come home with your child, and is also available on the school’s website. All surveys are due by January 18. Thank you for sharing your thoughts with us! Our next Coffee Chat with the Principal is this Friday, January 18 in our Teachers’ Lounge beginning at 8:15am. Please come join me as we discuss important issues for our school. 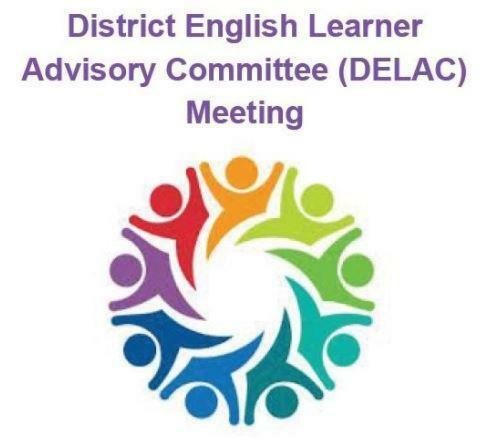 Our next District English Learner Advisory Committee (or DELAC) meeting is this Thursday, January 17 @ 9:00am at our District Office. We would love to have as many parents of English Learners there as possible. A flyer will be coming home soon with details. Please let me know if you’d like more information about this meeting. Please mark your calendar now that there is no school NEXT Monday, January 21, in honor of the Martin Luther King Jr. holiday. Thanks, and have a wonderful week. 12.16.18 Hello Los Coyotes Families, Below please find this week’s important announcements. This Thursday, December 20 is our Movie Night at the Krikorian Theater in Buena Park for a private showing of Mary Poppins Returns. Tickets must be bought in advance, and seating is limited. Please see the flyer that came home with your child, or you can find it on our website under PTSO. We hope to see you there! Last Call! Please have your child go through our Lost & Found tomorrow if they are missing an item of clothing. All remaining items will be donated to charity this week. Winter Break begins Monday, December 24 and ends Friday, January 4 of next year. Thanks for reading, and have a wonderful week!